After spending 75 days in the hospital, Nurses, therapist, and Doctors came to say their goodbyes. Britten gave them hugs and a "thumbs up" as we walked out the doors, grateful to our Father in Heaven to be going home. Not knowing how Britten would feel after the long ride, and so as to not overwhelm him, a few friends and family were called the last minute to welcome him home. And what a great Welcome Home it was!! When we approached our street, a few neighborhood kids waved and cheered as we drove by. 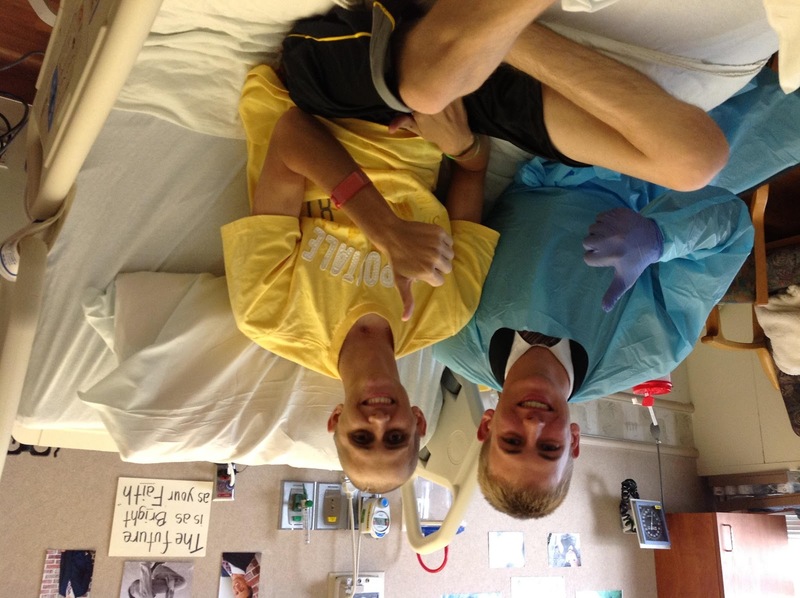 Elder Schenk smiled and gave them a big "thumbs up". As we pulled into the driveway he saw family and friends standing there cheering for him and said "What the heck?!" He was so surprised! His face radiated with pure joy to be home. Prayers of gratitude filled our hearts as many embraced Elder Schenk. Smiles, tears, and hugs were shared. Words cannot express the feelings felt that night. We are grateful for the friendships made in Brazil, and the wonderful people that saw to our needs there. While in SLC, many family members brought in food, gave up a good nights rest to stay with Britt, and cared for our needs in every way. Our Ward, family, neighbors, and community watched over our family, giving us peace of mind knowing all was well at home. We are so appreciative to all for the love and support we have felt. The Lord has showered many blessings on our family. Elder Schenk has far exceeded every Doctor's expectation for him. He has many therapies ahead of him, but with his tenacity, determination, positive attitude, and blessings from above, we know he will succeed. We hope to continue to post updates on Britten at least once a week. After Steven's beautiful post, it reminded me why I love him so much. 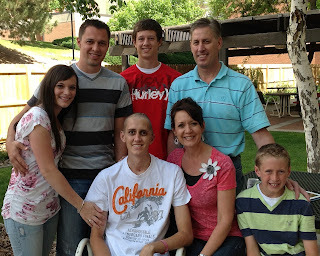 His strong testimony, love for the gospel and his Savior, has been a strength in our home. It is easy to forget our spouse in our busy lives with work, chasing kids, and church. But through this experience we have rekindled our love for each other, relyed on each other, as we have trusted the Lord. I too have felt like a child, submissive, humble and very dependent on our Heavenly Father. I told a friend today, that I never want this feeling to go away. I have felt our Saviors love, every day! * I'm sorry, I've tried for hours to get this to rotate! The last 4 days have had a lot of up's and down's for Britt. In the morning's he has been battling being nausaes. Yesterday and today he started having seizure like activity again. We think they are being brought on by a certain medication for nausea. So we hope they will subside, as the medication gets out of his system. We have been grateful for better afternoon's, as Britten has been able to "Welcome Home" some of his good friends from their mission. The joy and delight on his face radiates as his friends stop by the hospital, on their way home from the airport. Their embrace was priceless! The Spirit filled the room as they laughed and enjoyed catching up. Britten's life has been blessed over the years, with so many amazing friends! Last night Elder Schenk had a remarkable thing happen. As he was getting ready for bed his Dad asked him a question. Britt responded in Portuguese. Steven said, "what"? Britt responded again with two simple sentences in Portuguese. Britt's eyes got big and he said, "Did you just hear that? I can't believe that I just said that"! Thrill and excitement over came the three of us. All night, Britt was practicing Portuguese! How elated we were to hear him speak some simple words and sentences, in a language that he has loved. Britten has lived his life in a manner to invite the Spirit of the Savior to be with him. The Savior in return, stands with His arms open to demonstrate His love and appreciation for him. May we all invite the spirit into our lives, so we can feel our Savior's love. Elder Schenk has had 6 good days in a row...a well-deserved relief from all the difficulties associated with the accident. Unfortunately, this morning he awoke with a migraine followed by nausea. He was very uncomfortable all morning, but this didn't stop him from sharing his missionary spirit with his therapist. He asked his speech therapist if she was one of us? "What do you mean?" She inquired. He asked if she was a member of the Church of Jesus Christ of Latter Day Saints. When she replied, "No", he asked what religion she belonged to and then asked what she liked about it. He then genuinely invited her to attend our church and suggested that if she did, she would surely enjoy it. I could picture this tall, handsome, energetic Elder Schenk walking the dirt paths and busy roads of Brazil, eagerly chatting with whomever would glance his direction. I'm sure he was a fabulous missionary!! This morning our family had the privilege of attending Sacrament meeting in the hospital Branch with Elder Schenk. The spirit filled our hearts as we sat in our seats with Britten by our side, and listened to the prelude music. The smiles on our faces radiated with love, for Elder Schenk, for the gospel, for our Savior Jesus Christ, and for our loving Father in Heaven. 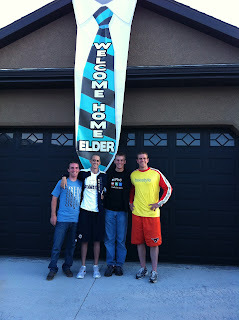 The Branch President welcomed home Elder Schenk, who was serving in the Brazil Sao Paulo Mission. Elder Schenk's face beamed with true joy and happiness to have served the Lord. A young women spoke on "Let your light so shine". I couldn't help but think how Britten has been a wonderful example of this. We are SO proud of him! He amazes us with every step he takes. His determination and will power becomes stronger every day. Every moment with him he uplifts our spirits, strengthens our testimonies, and encourages us to do more and be better. We met another family in the hospital today who's 18 year old son has had similar surgeries to Britt. She wondered if Britten wouldn't mind stopping by her sons room to say hello. When Britt walked into that room, you could just feel the spirit radiate from him as he gave encouragement and hope to that young man. His missionary work never ceases to end. Britt's vision is still very limited. He can only see partially out of his left eye and even that comes and goes. If you can imagine trying to complete a simple task such as eating your lunch without being able to see. I'm sure the best of us would go crazy, but not Britten! Most people that meet him probably don't know that he can't see them very well. He greets them with a big smile and a missionary's handshake. He approaches every task that is presented to him with gusto and determination! We know that strength comes in numbers and we know that if it is God's will, Britten's eyesight will return. We thank you for your continued prayers. Today was the most amazing day we have spent with Britten since the accident. Our family was together as we played ball, took a walk, and laughed till our sides hurt! It's amazing how steady Britt is on his feet. 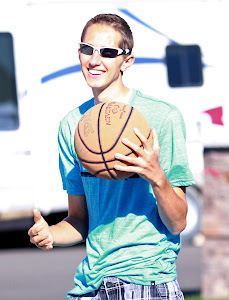 Words can't describe how wonderful it was to see him "shooting hoops" with his brothers! For that reason we have decided to let him show off a bit for you all tonight. We love you and continually thank you for all your prayers, love, and support. "Let your Light so Shine." 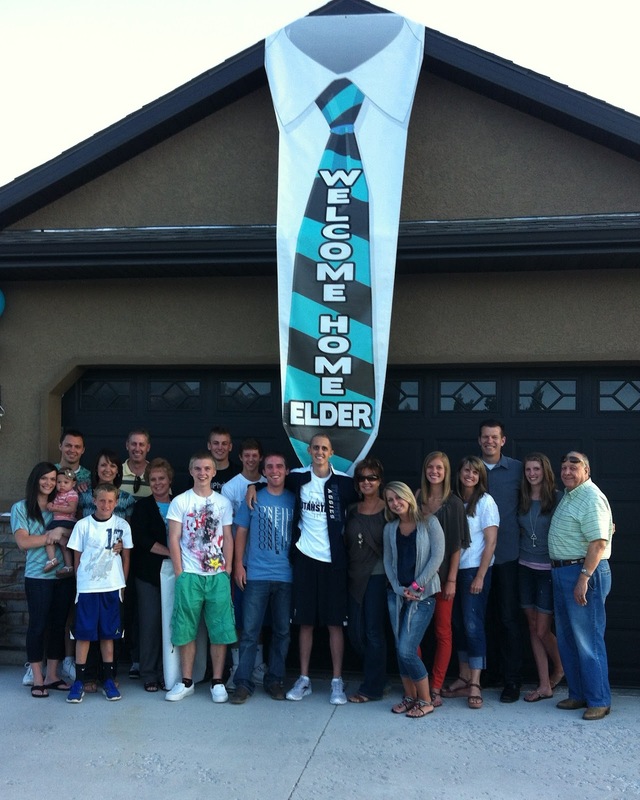 If you've ever wondered what a day in heaven would be like, I can tell you; it's spending the day with Elder Schenk! Today was very special for me as I had the chance to be "mom" to Britten while Karla attended some activities with her other sons. From the moment I arrived, I remembered why I love this young man so much! As I entered the room, Britten threw his arms open and said, "Oh, it's the cool lady!" My children may argue that point, but it made my day! Britten has always been an over-achiever and even in the midst of this overwhelming trial, he still has the heart of a champion! All day long, through six long sets of therapy, he showed his competetive spirit and pushed 'til there was nothing left to give! During one round of Physical Therapy, he worked on climbing stairs. After the first try, he said, "I know I can do better than that!" Then, without any coaxing, he began to go up and down the stairs, over and over, until his motion was fluid and his steps sure. Wow! My memory of therapy includes a therapist begging me to try a little harder and finally resorting to bribery with chocolate! Ha! Not Britten! He knows instinctively that repetition is the key and hard work will get results. I was amazed. At lunchtime, Britt received a surprise visit from Grandpa Andreasen! His face lit up as Grandpa came in and they embraced! What a special bond these two have! It was the highlight of Britt's day to talk with a man he obviously loves so much and to share a few laughs! Perhaps my favorite part of our day was around 4p.m when the therapy finally ended and Britt fell into bed exhausted! I turned on some music and thought he would fall right asleep; but to my surprise he began to talk. With a humble heart and faithful spirit, this young Elder shared his tender feelings and heartfelt testimony with me. It was such a sacred experience to hear him testify that he KNOWS his Father in Heaven loves him and is helping him. He repeated this witness several times and I will never forget the Spirit I felt and the tears that fell as we talked. Tonight, as I went to leave that small hospital room, I took one last glance at the beautiful pictures of family that surrounded the now sleeping giant, Elder Shcenk, and the motto posted on the wall-- "...Your future is as bright as your faith" --and I really felt like I had glimpsed a bit of heaven in Britten! What a loving servant of the Lord, who knows who he is and where he is going. Elder Schenk helps everyone around him want to be a better person and focus on what really matters--the things of eternity. 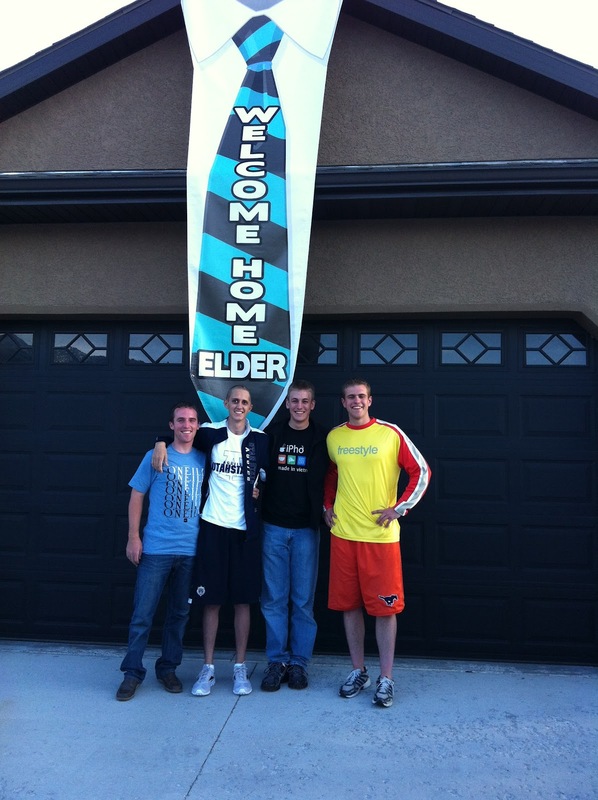 Elder Britten Schenk has a VERY BRIGHT future! I love you Britten. Thanks for letting me spend the day with you! We had high hopes that when Britten's skull surgery was completed that he would show much improvement. We are learning every day that this is going to be a marathon in recovery, just like they had told us. Since surgery Britt has started developing seizure like episodes. On Sunday they started becoming more frequent and extreme. It was a long and exhausting day, of trying to calm him as we worried. The Neuro's were called in and they are doing a EEG test on him. They have place 27 electrodes and wires to his head, so they can monitor the brain activity for seizures. The past 2 days we have been sitting by his bed-side trying to calm him as we get him through these episodes. We hope that they will know more tomorrow, so they will know how to treat and help him. Britten's eye sight still seems to come and go and the episodes seems to effect them. On the positive note... Therapys are improving and going well. He physically is improving every day. Britt is becoming stronger and moving better, and his PT says he will have him out playing basketball soon! If we look back at each week, we can notice improvement, even when more obstacles are placed before him. Britten is now struggling with the realization of what has happened to his life. It is heart-breaking as his parents to go through this with him, trying to reassure him to "trust in God" and all will work out. I will pull out his journal with some of "His" favorite quotes and read them to him. One of his favorites is a very long poem, titled "The Race". I would like to share the last little bit with you. And now when things seem dark and hard, and difficult to face, The memory of that little boy, Helps me in my race. For all of life is like that race, With ups and downs and all, And all you have to do to win, Is rise each time you fall. "Quit! Give up! You're beaten!". They still shout in my face. But another voice within me says, Get up and win the race! -Delbert L. Bromberg. Britt has always had such a strong determination and will, and We know that he will get up each time he falls. Britten has always placed great faith and trust in the Lord, and we know The Lord will bless him to find joy and happiness. We pray that we can have the same strength, that Elder Schenk has. Logan and I got the wonderful privilege to spend all day with the birthday boy, and what a great day it was!! We had a few ups and downs and I am sure that it was not the best birthday Britt has ever had but under the circumstances I think it turned out to be a pretty good one. Britt is having "anxiety attacks". I'm not sure what other way there is to describe them but they are very frustrating and hard on Britt and on those of us that are standing around him completely helpless. We hope that they are just a side effect from his surgery and that they will pass as the days do. Please pray for him to have comfort. Britt had a good friend come visit him today. He brought with him some great words of encouragement from a few of his friends back home. We want to thank them for loving Britt as we do. Those of you who know Britt knows he enjoys a good laugh and is SO much fun to be around. Today was no exception! We got him a small basketball and hoop for his birthday. He shot and shot that ball until he got it in the hoop! It was fun to see him "practice" his shot before he took it and wipe the "sweat" off his brow when he was through. We read your comments to Britt and he is so amazed at the love that you all have for him. We know that he feels your love. We truly believe that your love and the love of our Father in Heaven and our Savior Jesus Christ will help Britten get through this tough time. 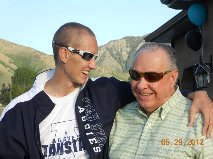 We thank you for that and for the many words of encouragement and prayers that have been said in Elder Schenk's behalf. Please keep them coming as there is still a long road ahead! We love you all- even those of you whom we have not met and may not ever meet in this life time. We thank you! We are so proud of Mom and Dad. Their amazing faith and testimonies are influencing the world! We feel their strength and are so blessed with the comfort that strength brings to us. Every time we talk to them, even though it has been a long day, they are able to recognize the blessings that come with each small (although huge to us) improvement that Britt makes. We are so grateful to them for being there at Britten's side. For holding his hand and for noticing and rejoicing with Britt's every improvement. We know that our Father in Heaven is right there with them and we continually thank him for every small miracle. We have come to know what an amazing man Britten has become! All of the emails, calls, and visits to his hospital room have taught us so much more of Elder Schenk and of the work that he has done in just two short years. We learn more of his testimony daily and are SO proud of him for his influence on all who have met him. His testimony radiates through him even now without a single word being said. What a brilliant example he is to us! We love him SO deeply as we know that all of you do as well. There have been moments when the future did not look so bright. There have been so many tears of sadness followed by tears of joy along this journey. We know that this is a long process but we are grateful to have SO much love and support from you all. We love you and thank our Father in Heaven for you. The title pretty well explains Britten's day. The recovery from surgery is just darn tough! It is so hard for a parent to watch their child go through so much. Our family (including Karla) was down with the flu over the weekend, so Karla has stayed away from the hospital for the past few days. Steven has spent hours around the clock, trying to attend to Britten's every needs. Britt's dear, sweet Aunt Leslie, has helped make Steven's burdens lighter, by taking some of the night shifts. 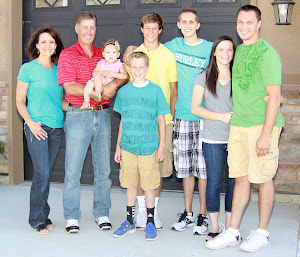 Oh, how blessed we are to have such a wonderful, caring family! We pray that tomorrow will be a better day. The day started early today. At 6:30am the nurses came in to get Elder Schenk ready for surgery. There was a cancelation and so he got moved up on the schedule. It was a long day. By 4pm he was finally in his room. The surgeons said everything went great! Britten is tired and I don't know anybody that enjoys surgery except the hospital staff. He is understandably miserable coming out of the anesthesia. I am praying for a restful night. Tomorrow will be a better day! Thanks again for your faith and prayers. I know Our Father in Heaven hears our prayers. May He bless you in your struggles and trials as well. Saturday is slower pace and a little more quiet in the Hospital. Britten still had several therapy sessions and did well with only one of them cut a bit short because of nausea. It has been a bit of a roller coaster ride because of the postponed surgery yesterday. 24 hours from now we will be getting ready again for surgery. We did a few extra therapy and excersize sessions in the room today to help ensure that he doesn't get any blood clots because he has been off the blood thinners for several days now. He continues to make progress in so many ways. 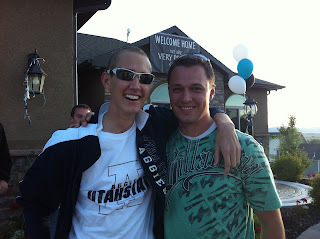 His memory, recall and speech are improving everyday. His biggest frustration is his vision. Even though it is frustrating to him, he believes that it will improve and he knows that it is in his loving Father in Heavens Hands and if it is meant to be it WILL be. He will tell you that Jesus Christ is his best friend, and he is also grateful, as we are, for all of our friends! We pray for all who are struggling in any way this night. We know that Our Father loves all His Children and hears and answers all prayers in His time and way. His purposes will be fulfilled.